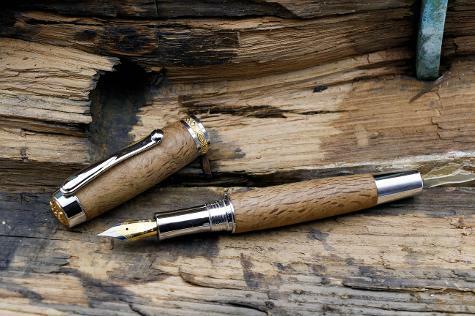 We specialise in the making of unique gifts using historic and unusual materials. Our love for history and our past involvement in preserving history is what started us out with this original idea in 2007. HMS Victory being split to preserve and remove the copper nails. February 2019 we literally stumbled on a barn find of two large pieces of HMS Victory Oak, one piece needed two to carry. Included with this extremely rare find that had been forgotten about for 30 years was all the original paperwork, including the original invoice dated 1989. The vast majority of the materials we use are totally unique to us at Historic Gifts. We spend a vast amount of time researching and sourcing new materials from all over the world and travel many a mile in researching and collecting new materials. 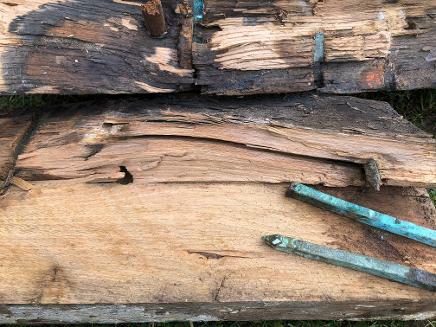 We have a specialist stabilising pressure system to help with the preserving and strengthening of the historic timbers that we come across and recently we have invested in a pressure injection resin system so all voids and splits in timbers can be repaired and preserved. We have used these processes in the past on Aircraft Tyres to 300 year old rope found in the silt on the sea bed. Our aim is to find those forgotten, unwanted, rotten or even broken pieces of history that sit in the loft or left outside to rot and bring them back into a useful and practical gift to cherish, but above all else, to preserve history. We are totally committed in making the very finest historic gifts and the finest historic writing instruments using only the finest premium materials. 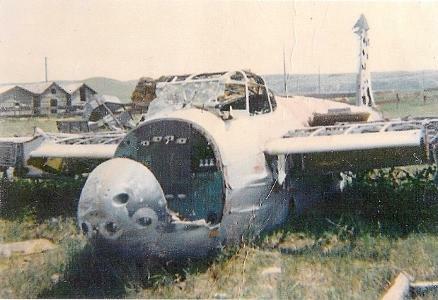 Above is Mosquito KA114 which has now been fully restored in New Zealand and in 2012 became the first flying mosquito since 1996. Both wings had to be fully replaced and the original wings were left outside exposed to the elements for several years until we was contacted in 2018 and asked if we would be interested and over a period of nearly a year managed to import both wing sections of Spruce, Douglas Fir and hundreds of original Brass screws. 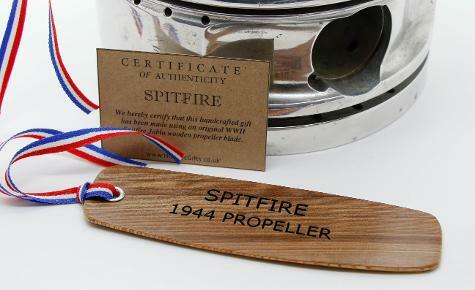 Our unique gifts and pens have been featured on both ITV and BBC Television, including:- HMS Victory, Titanic Engine Block, RMS Olympic, Tiger Moth and Mammoth Tusk. 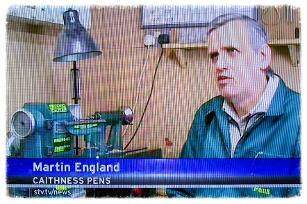 We were filmed in 2013 making the worlds very first Spitfire propeller pen on STV 6 O'Clock News. 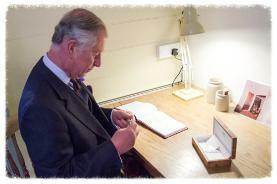 One of our proudest moments, was in July 2012 when we were commissioned by the Princes Trust to make a totally unique fountain pen for HRH Prince Charles and an unexpected meet with him afterwards to discuss our pens and praised our traditional unique approach. 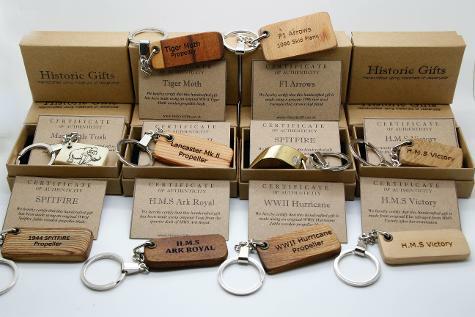 You can be assured that each and every handcrafted Historic Gift we make comes with our personal assurance that you will receive a quality, unique, genuine gift to cherish. 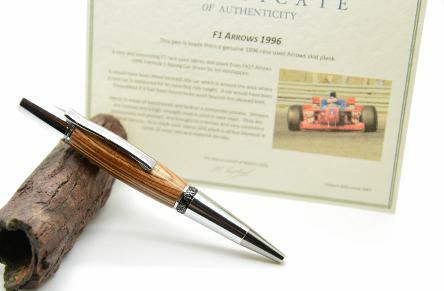 We've been commissioned in the past in making over 100 pens using an extinct Indian dye wood thats been in a wreck at the bottom of the atlantic since 1748, also commissioned to make 700 engraved keychains for the RAF 100 years to a one off pen commission from a crashed Hurricane that had been buried for over 50 years for a relative of the pilot. No order to big and never to small, please phone if you wish to discuss on 013873-71248. We have supplied many governments from around the world and even the Commonwealth Games in Glasgow.